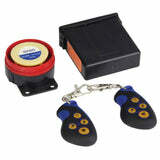 Click here to be notified by email when 12V Premium Motorcycle Alarm System becomes available. 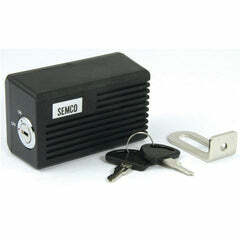 BikeTek's 12V alarm will suit and fit on any 12V motorcycle or scooter battery. 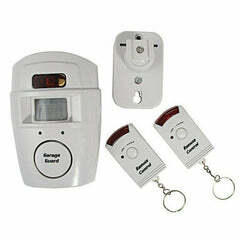 Simple self-install unit with only 2 wires, providing power to the alarm, and self-adhesive pads for mounting alarm unit. Loud 125dB Ear-piercing dual-tone siren is sure to wake up neighbours and alert passers by! Fully waterproof sensor module and siren mean peace-of-mind in all weather conditions, plus a motion activated sensor module designed to fit in the tightest of gaps for hidden mounting.